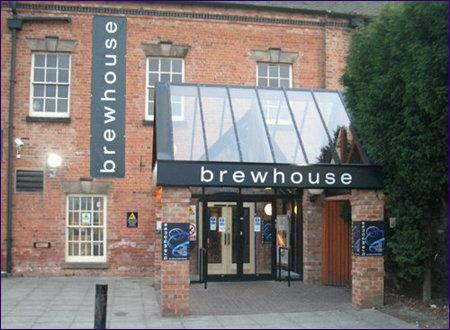 Our performances take place at the Brewhouse Arts Centre in Burton upon Trent. Sainsbury's car park is the closest to the Brewhouse and is £1, pay and display, for a maximum of two hours. See the ticket machine and car park notices for latest details on the tariff. Parking is free after 6pm, but if you are attending a Saturday matinee you should pay £1 and visit the Brewhouse box office for an additional notice to place in your windscreen to allow you to stay for more than two hours. Below is a detailed map to show the location of the Centre. Row BB is for wheelchair users and escorts only. Anyone purchasing A2 to A10 tickets may find patrons sitting in front of them during the performance. Please note: the view may be restricted from Row N.